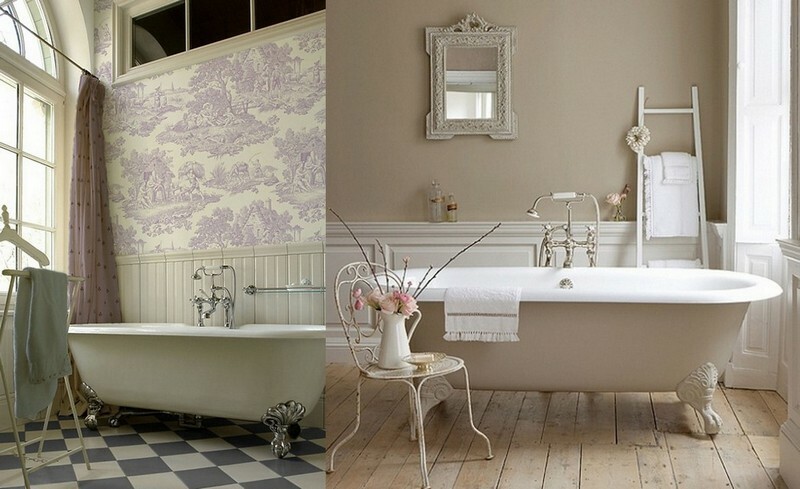 Provence style is the embodiment of romance, peace, charming old times and exquisite décor. 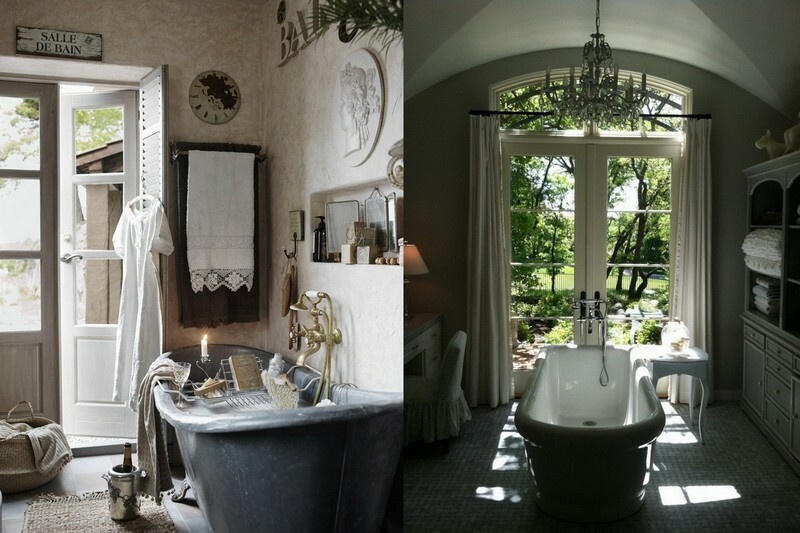 Do you want to literally dive into the atmosphere of the south of France when taking a bath? Then some traditional features of Provence, recalling memories of summer holidays in the countryside, couldn’t be better. 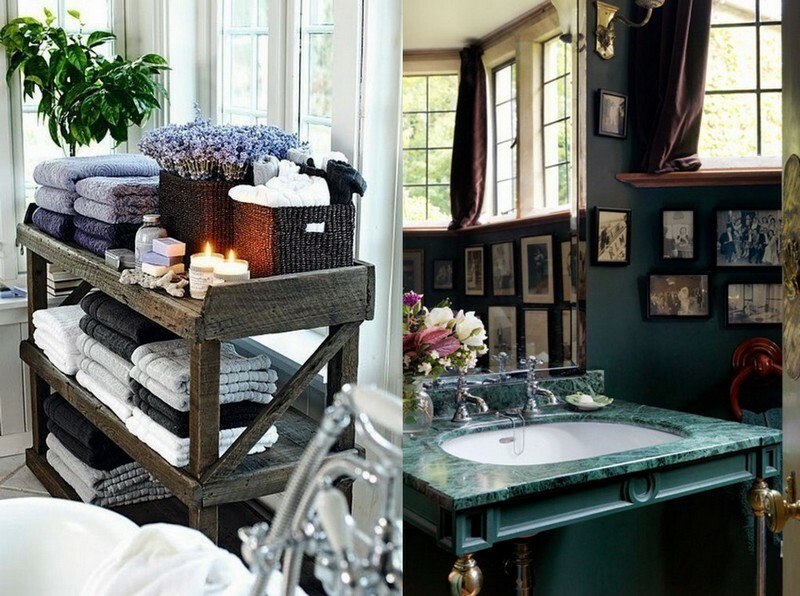 Even if you live in a skyscraper in the very heart of a big city and see herbs solely in salads, why not try to decorate the bathroom as if you were a happy owner of a cozy country house with a small garden? Of course, this implies a completely different lifestyle. For example, in countryside households neither thing lies idle. Here towels and bath amenities are kept in woven or metal baskets in winter, and in autumn a good master will pick apples in it. 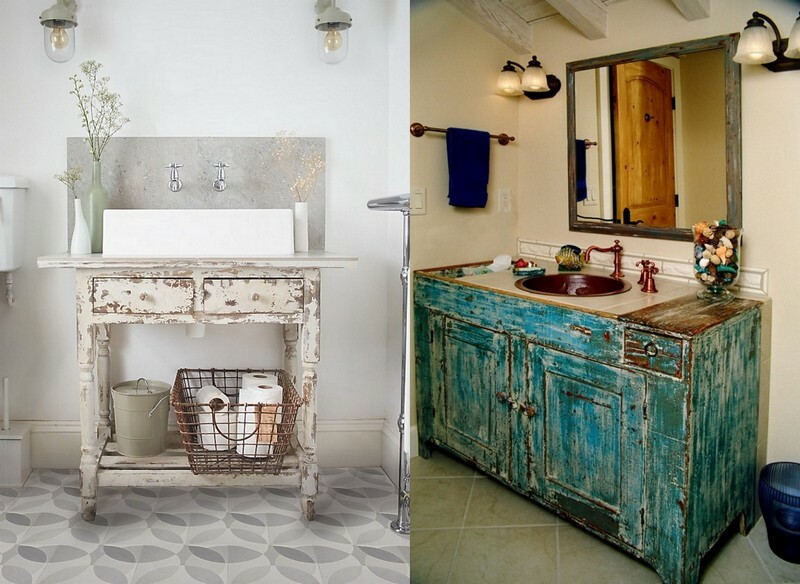 And slightly aged, yet still functional furniture will take an honorable place in the bathroom corner. It’s a delicate dream of many people that can hardly ever come true. 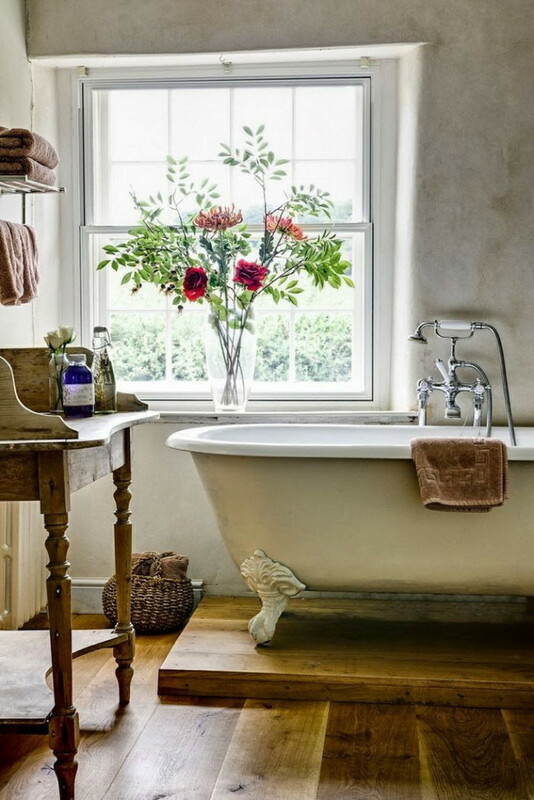 But if you did have your heart set upon a country house with a garden, a chance to watch seasonal changes of nature while taking a bath or shower should be something to envisage. Feeling close to the nature and enjoying slow and meaningful rest is a precious accomplishment of Provence style. 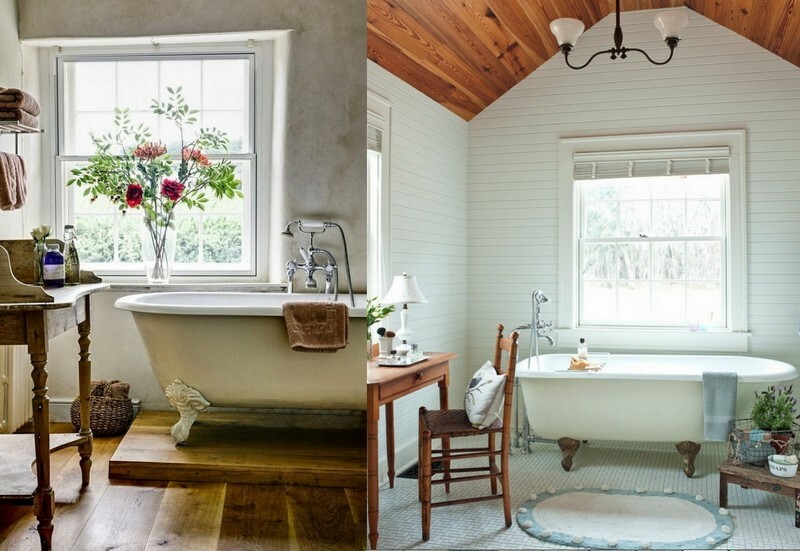 And if your bathroom is hopelessly windowless – don’t worry. You can always create a green oasis of your own. Just like in a famous Pantone’s house in the heart of London. And orchids look great everywhere. 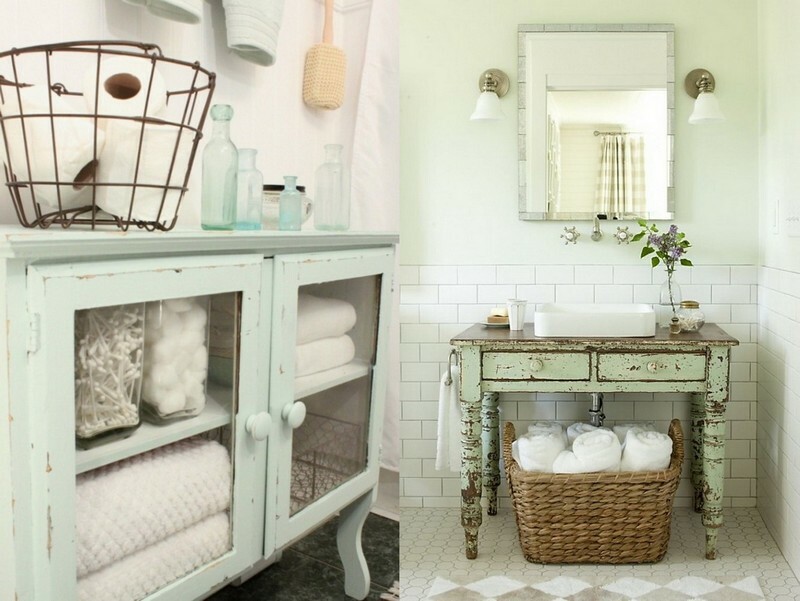 Be open to sentimentality – let your bathroom be filled with vintage figurines, old photos, souvenirs with a note of nostalgia and other items of décor. And don’t forget about flowers, and lavender, which is a living symbol of Provence, in particular. By the way, its odor perfectly takes the nerves away. And your hair conditioners, soap and shampoos won’t lose their nice features if poured into old apothecary bottles or vials bought on a flea market. 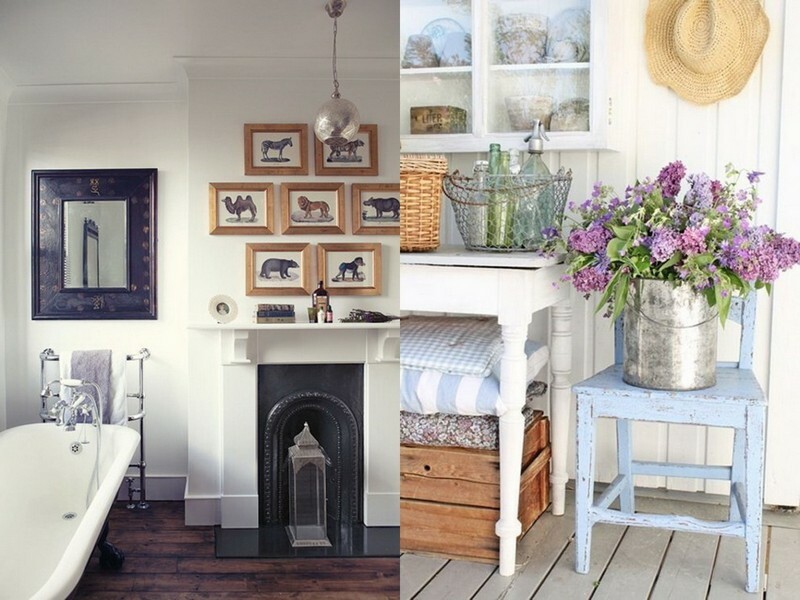 The background of interiors imbued with lavender spirit of Provence is always light and quiet. Just think about the palette of southern France: sand of dunes, beige hues of fresh cream, worn wood… And of course violet, turquoise and yellow shades faded in the bright sunlight. 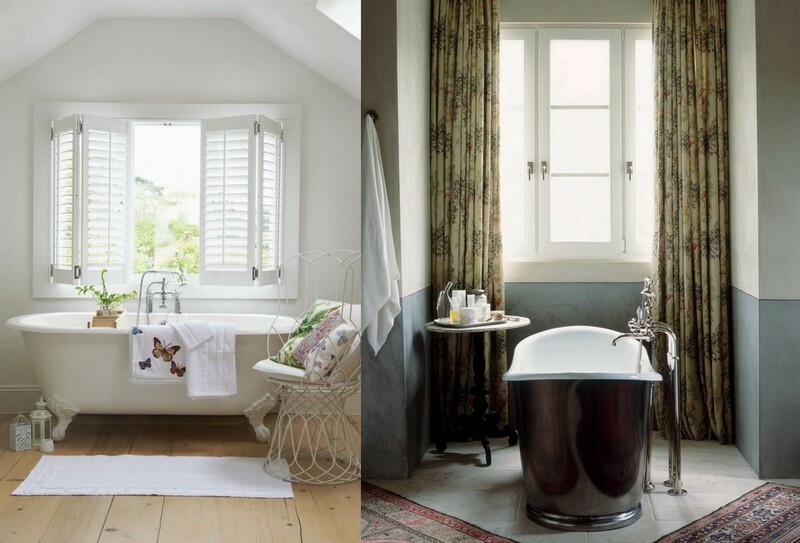 In such a lively bathroom the effect of eternal summer is guaranteed even if it’s frosty winter behind the door. Let your bathtub be contemporary since you don’t want leaks, rust and rough surfaces to spoil your perfect rest. But retro design is a great way to “travel” to peaceful, romantic and full of light French countryside. 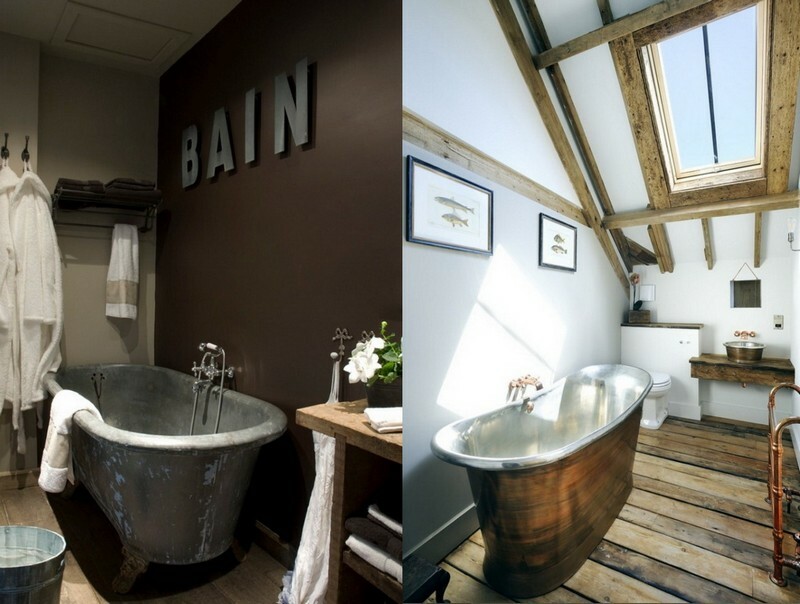 A nice option is clawfoot baths or metal-faced bathtubs – in copper or zinc.